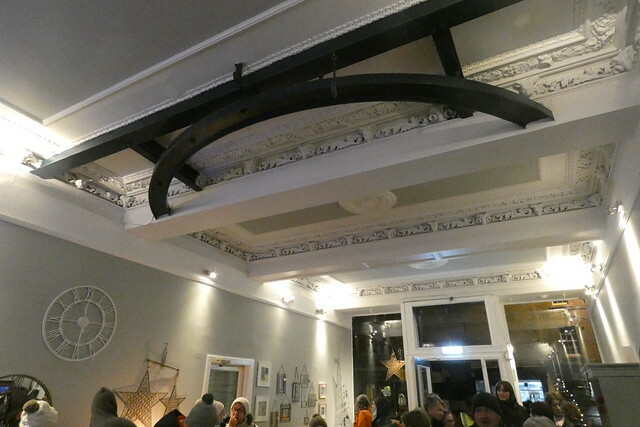 Following on from The Roasting Project – a cafe owned by two brothers from Burntisland – the High Street now has a new business owned by three local sisters! According to Toni Crickmar the shop is having a “soft opening” as they are still waiting for more items to arrive. People will also be able to buy via the web site, at present it only has a small selection of the gifts already in stock. 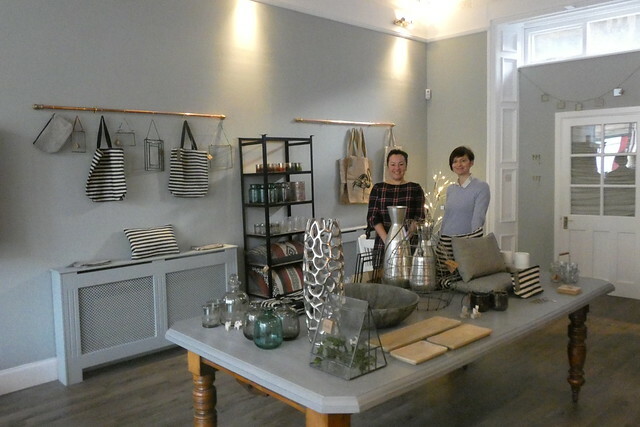 The shop opened last Friday, deliberately on the day of the Christmas Fair. 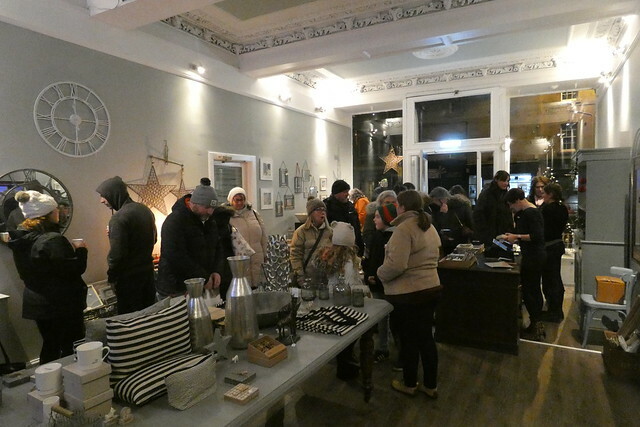 It was very busy on that evening but there has been a steady stream of customers since. 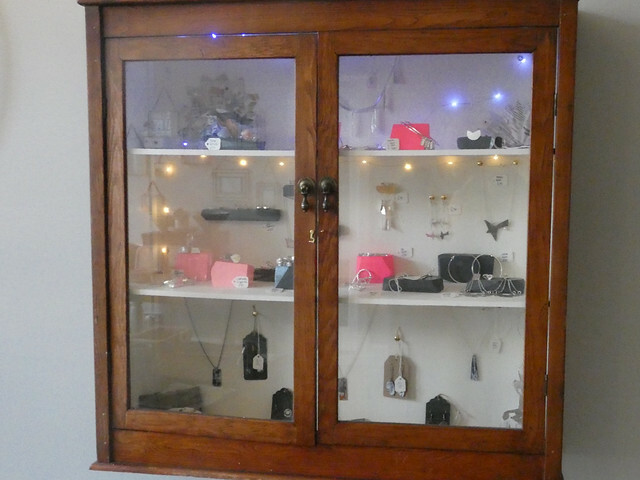 Toni describes the shop as “home and gifts”, she is pleased to find that it’s not just the cheaper things that have been selling. 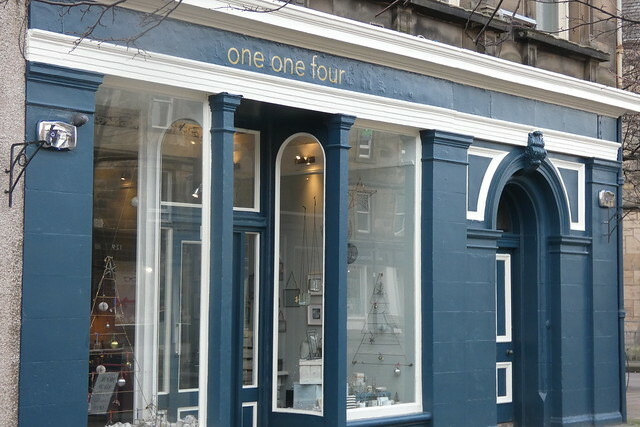 one one four (if you can remember the name, you’ll know where to find it) also has a good selection of jewellery by Edinburgh College of Art graduate Louise McManus. Many people know that the shop was for many years Brown and Gilmour solicitors (until Mr. Gordon retired). 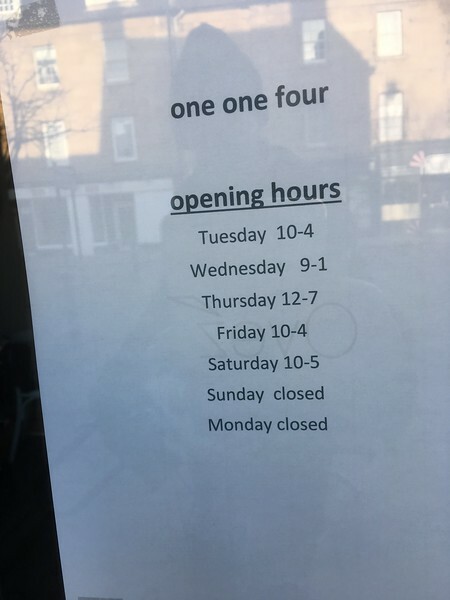 Some may know it previously had a life as a butchers. The evidence is around the ceiling.